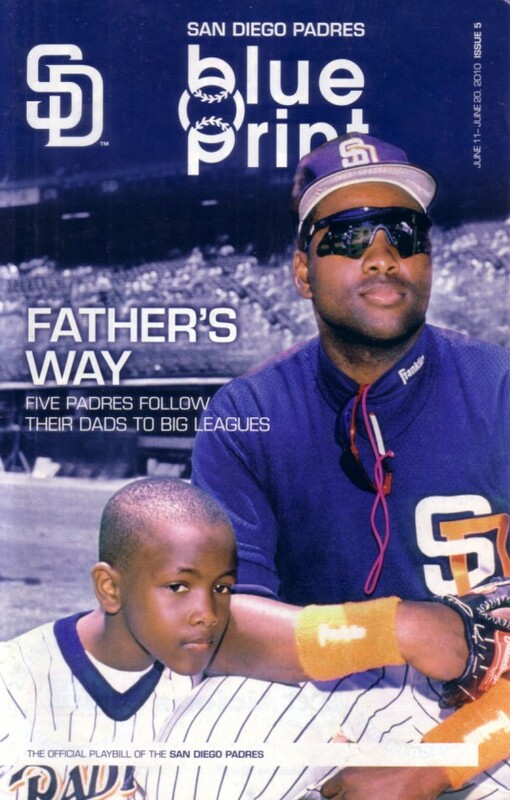 Original June 2010 San Diego Padres Blue Print program (about 5 1/2 by 8 1/2 inches) featuring Tony Gwynn Sr. and Tony Gwynn Jr. (when he was a kid) on the cover. Has minor wear. ONLY ONE LEFT.